Enhance your eyes and dial up the volume three different ways with Legendary Lashes. The Wing Lash: Elongates the eye for a seductive, hypnotic look. Angle the brush diagonally across the lashes and pull up and out at the outer edges for an exaggerated cat eye. The Doll Lash: Opens up the eye for an innocent, youthful look. Hold the brush vertically and pull up through the lashes from root to tip. The False Lash: Intensifies and frames the eye for a glamorous, red carpet look. Nestle the brush horizontally in the lash line and pull up in a zigzag motion to coat every lash. 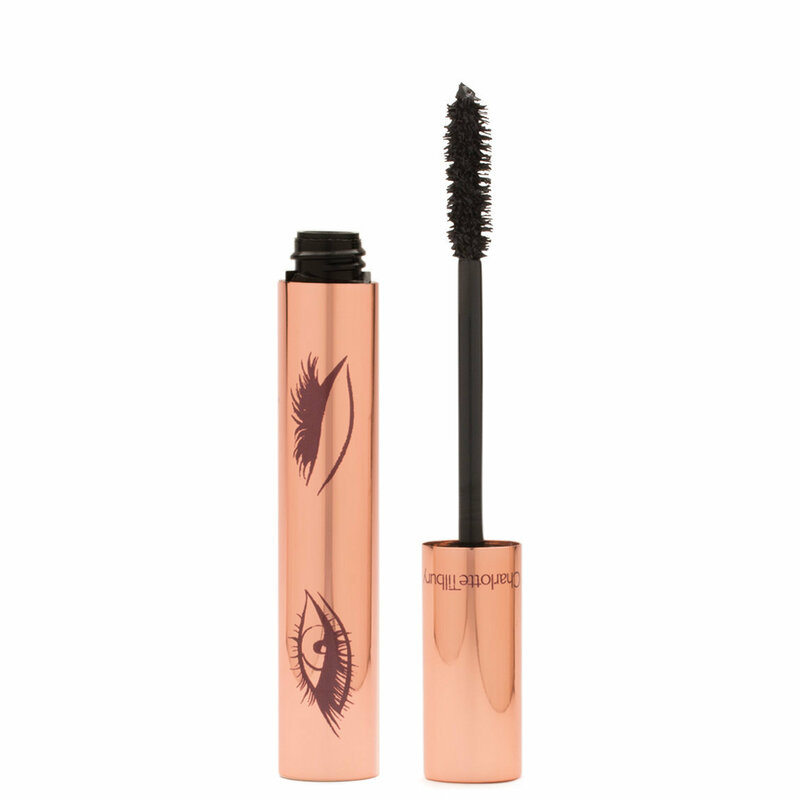 It is excellent mascara for add length to your lashes. I finded a bit too liquid. I have to wipe off excess from the wand before application. Took off one star because it is too liquid in my opinion . Charlotte's mascara is my favorite, but I will say I prefer the wand with the original formula. The Volume 2 wand is big for my little itty bitty lashes and I have a hard time not getting mascara in my lids. But the formula is awesome. Best mascara ever! Really makes your lashes fuller and longer without feeling heavy. I've tried them all cheap to expensive and this one really does what it says. So happy you carry this now. I usually have to use two different mascaras to get the thickness and length I like, Well until this morning that is! First time using this mascara and I love it. I have long lashes to start with but just one coat of this was like two of my old mascaras. Long thick lashes, the second coat was even better. I did try a third but it was a little to much. Lashes were thick and long. No clumps and lashes felt soft and not hard or brittle. The brush reached all of the lashes on both upper and lower eye. I’d highly recommended this mascara. This Mascara is THICK like super Thick. If you like that kind of formula then you will love this. The mascara just makes my eyelashes look clumpy. I have only used it a few times so I am still trying it but I am not a fan at this time. Worst mascara I’ve ever used! Ended up all over my lids and below eyes. Sent it back. Great customer service though. I prefer the feathery finish the original formula gave me, but unfortunately the original formula smudges under my eyes after a couple of hours of wear. Volume 2 doesn't seem to give the same effects and I actually prefer my drug store favorite, Loreal Lash Paradise, over this. I was so excited to try this after seeing Wayne Goss' review, but this was a horrible formula. While it did give me a lot of volume, the formula was extremely wet and sticky. It would transfer to my lids and under my eyes throughout the day, giving me raccoon eyes. (I don't ever have this problem with other mascaras.) For the price, it's not worth it. I have many drugstore mascaras that outperform this and don't smudge. Disappointing!